Many of our products are unique to our menu, which means you won’t find them anywhere else in Brighton, and you certainly won’t find better prices. See what takes your fancy on our food and drink menu. Book the very best mobile bar for your events, with great prices on a flabbergasting range of drinks. Our outdoor bars are fully equipped for weddings and functions of any size, and we’ll travel anywhere in south east England. Contact your local pub in Brighton for good times and mobile bar hire in south east England. Welcome to Crown’s Brighton, your friendly local pub and mobile bar hire specialists in south east England. Visit our bar, and you’ll find there’s always something on. Our customers enjoy live acoustic music every evening, and watching their favourite sports with us on Sky or BT. But more than that, we offer unbeatable prices on a completely unique range of products. 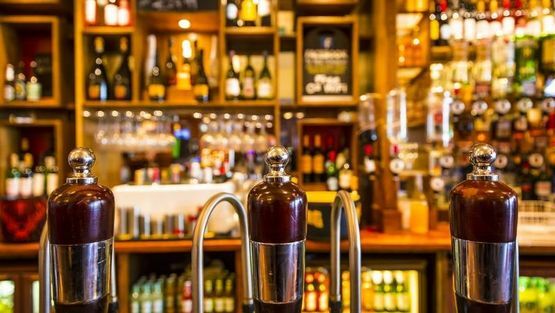 Enjoy a meal or chill out with a pint at our pub in central Brighton. Come around our place and catch all 2018 FIFA World Cup matches on our TV’s. We’ll screen all the action from Russia this summer, so you can grab a drink and enjoy the football in our lively pub. We’re even offering £3 pints during ALL England games!